How can my visitors send me files through my website? Choose 'Content' from the top menu. Select 'Forms' from the left-hand menu. You will then need to create the fields that you wish to appear in your form. It may be an idea to create a "Text Box" field for the visitors "Name" and "Email" address prior to this. 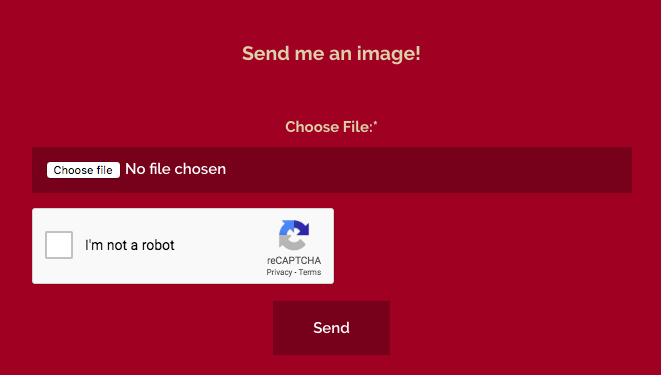 However, to set up the ability for your visitor to send you an attachment, choose "File Attachment" from the "Field Type" drop-down box. Give your field a label and whether or not you feel this should a required field, then click "Add Field". You can also choose whether or not your customer will need to verify that they're human via the reCAPTCHA field. This will be checked by default, but you can remove it by unchecking the box labelled "Require people using this form to enter a code to prove they are not a junk mail robot." Once you have completed the fields for your form, click "Save Changes". Once added with a Custom Block, your form should look something like the one shown below.